Law and Lawyers: The Five are extradited ~ Is this a time for rejoicing? The Five are extradited ~ Is this a time for rejoicing? On 5th October, the High Court finally cleared the way for the extraditions to the USA of Al Fawaz, Abdel Bary, Abu Hamza, Babar Ahmad, Talha Ahsan. The British and US governments clearly wasted no time in getting the men out of the UK as, during the night of 5th-6th October, they were flown to the USA from RAF Mildenhall - an air base which primarily supports US Air Force operations. Here is some of the media coverage. Daily Mail 6th October - "Good Riddance: Hate preacher Abu Hamza finally on a flight to US after losing last-ditch attempt to stay in Britain". The Mail article contains many photographs including scenes outside the High Court where protesters demonstrated. The photographs merit a close look. The Sun 6th October - "Hook Off" - "HOOK-handed hate cleric Abu Hamza was finally booted out of Britain across the Atlantic last night after an eight-year legal battle. The vile extremist lost a last-ditch bid against extradition to the US yesterday — and left British soil on a jet bound for New York just before midnight." On 4th October, writing in The Guardian, Victoria Brittain argued that the long saga of the extradition of five Muslim men from Britain to the US has shown up the limits of the British, European and US legal systems' commitment to human rights. The impact on our society will be profound. Many will see the considerable number of legal processes involved as an indication that the extradition system has fallen over backwards to be fair and to an extent that is right but is this an out-and-out situation for rejoicing? Let us look somewhat deeper. 1. Whether some of the media coverage amounts to Islamophobia (as suggested by Victoria Brittain) is debatable but there can surely be little doubt that there has been media oversimplification of the cases against these men and that much more attention was paid to Abu Hamza than the other cases. The pictures in the Daily Mail of the demonstration at the High Court reveal clear tensions within society which ought to give any thinking politicians reason for serious concern. 2. The European Court of Human Rights considered the cases together because similar points arose relating to the application of the European Convention on Human Rights. The court allowed interventions by various legal and human rights groups. The interventions generally supported the contention that the men would face prison conditions in the USA which would not meet European Convention requirements under Article 3. The April judgment of the European Court of Human Rights is, I submit, open to criticism for failing to address adequately the submissions of the various interveners. This point was made in Law and Lawyers post of 14th April and also see post of 25th September. 3. Two of the cases - Al Fawaz and Abdel Bary - were subject to the older extradition regime (Extradition Act 1989) in which the USA had to show a prima facie case. As the High Court pointed out in their summary of 5th October, both men appealed to the House of Lords where their appeal was dismissed on 17 December 2001, with the court finding that the applicants were liable to extradition to the United States on the existence of a prima facie case of conspiracy to murder, of which the most terrible manifestation was the bombing of two US Embassies in East Africa, in which over 200 were killed and 4,500 injured. However, the other three men were extradited under the much criticised Extradition Act 2003 regime in which the USA does not have to show a prima facie case. interests of justice. The forum bar point would have applied particularly in Babar Ahmad's case and might have prevented his extradition. LIBERTY put forward concerns regarding the present lack of a "forum provision" in the extradition arrangements so that, where the facts of a case arise substantially in the UK, any trial should be in the UK. Parliament legislated for a "forum bar" in the Police and Justice Act 2006 s.42 and Schedule 13. However, it has not been brought into force on the recommendation of the Baker Review of Extradition arrangements - (Page 230 of the Review report refers). See Liberty's comments (November 2011) about this. It seems rather strange that, effectively, the will of Parliament to have a forum bar has been overruled as a result of this review. b) Prima facie case to be established - before such a significant engagement of a person’s human rights it must be determined whether there is a case to answer. To this end the European Framework Decision would need to be renegotiated as well as having the the Extradition Act 2003 amended. c) Dual criminality - the Extradition Act should be amended to ensure that only conduct which would be an offence within the UK is an extraditable offence under Part 1. This will put an end to UK residents being subjected to prosecution for acts deemed criminal wholly out of keeping with UK values, and will go some way to ensuring that extradition warrants are executed only in a proportionate manner. d) Renegotiation of the European Framework Decision - the European Framework Decision must be renegotiated in order to re-insert the prima facie case safeguard above). Renegotiation should also involve re-inserting the dual criminality requirement for extradition within the EU. Further, give conflicting policies amongst Member States a court must be able to determine whether the ramifications of the alleged crime for which extradition is being sought are disproportionate to the impact on the person who will be affected by their removal to another state and whether it is in the public interest to pursue extradition. e) Renegotiation, where necessary, of bilateral treaties - Ensuring that there are adequate safeguards in place for UK residents subject to extradition may require the renegotiation of certain bilateral treaties, and/or the removal of the Part 2 designation order. What will be required will vary from one treaty to the next, but it is vital that safeguards be reinstated even where this requires diplomatic negotiation. All of the arrangements with Part 2 countries must be reviewed – not only that of the US-UK. g) European Investigation Order - : Finally, the EIO Directive, as currently drafted, lacks express safeguards for human rights and procedural fairness which is likely in practice to lead to a similar impact as the operation of the European Arrest Warrant. 5. 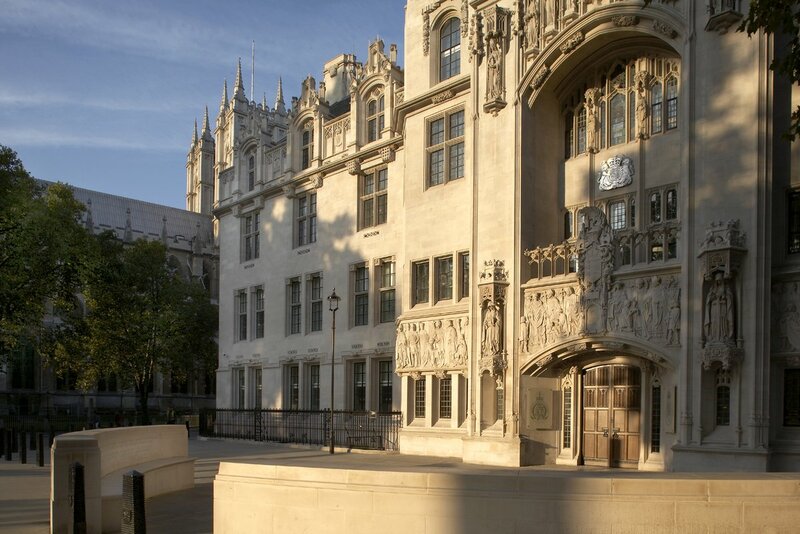 The timescale for proceedings - this is also a serious concern and the High Court said: " ... there may well be a need to reconsider the inter-relationship of the statutory appeal scheme, the ability to re-open appeals and the role of judicial review. As has happened elsewhere, there may be real dangers in the structure of a scheme which not only has a statutory appeal procedure but which has become complicated by judicial review proceedings which can be used to reopen or raise again issues that have already been decided." It is likely that politicians will latch on to this statement with a view to speeding up extraditions and there is the inevitable risk that safeguards will be reduced even further. 6. The Scott-Baker Review - Report - this review was conducted by Sir Scott Baker (former Lord Justice of Appeal); David Perry QC and solicitor Anand Doobay. The report's conclusions and recommendations are at page 317 onwards. Significantly, the report recommended against the re-introduction of a forum bar (despite Parliament having legislated for it in the Police and Justice Act 2006) and also against the return of the prima facie requirement. The United States/United Kingdom Treaty does not operate in an unbalanced manner. 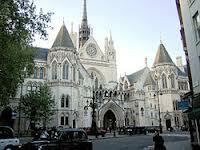 The United States and the United Kingdom have similar but different legal systems. In the United States the Fourth Amendment to the Constitution ensures that arrest may only lawfully take place if the probable cause test is satisfied: in the United Kingdom the test is reasonable suspicion. In each case it is necessary to demonstrate to a judge an objective basis for the arrest. In our opinion, there is no significant difference between the probable cause test and the reasonable suspicion test. In the case of extradition requests submitted by the United States to the United Kingdom, the information within the request will satisfy both the probable cause and the reasonable suspicion tests. In the case of extradition requests submitted by the United Kingdom to the United States the request will contain information to satisfy the probable cause test. There is no practical difference between the information submitted to and from the United States. This report was doubtless music to the ears of those politicians disinterested in reforming these arrangements. The departure of these men to the USA ought to be a time for some sober reflection on the actual state of the law and legal processes in this area. The present situation is riddled with the potential for injustice and reform is desperately needed. Hardly a situation for rejoicing! Meanwhile, Gary McKinnon's case remains on the Home Secretary's desk. If he is extradited to the USA, Theresa May is likely to find the popular media far less supportive of her stance. Time for rejoicing? A resounding YES. Only the lawyers will be sorry to see these people go. Rejoicing about their departure is one thing but what the post is about is the state of extradition law. No cause for rejoicing there in my view. As the post seeks to show, there are many problems including the lengthy delays and multiplicity of proceedings. Where there is a strong case against someone (prima facie case) and it is properly triable in another country (forum) then I have no problem whatsoever with extradition. Cue Jarndyce-length proceedings deciding "strong" and "properly triable". A strong case merely is that a prima facie case ought to presented by the requesting State. It should not result in much additional litigation in most cases. Scott Baker thought that reintroducing a forum bar would result in delay and generate satellite litigation - see his Review Report at page 230. Against that is the view of Liberty in their letter to Theresa May of 1st November 2011. I agree, ObiterJ - nothing to rejoice about - particularly the case of Khalid Al Fawaz, who had been subject to detention without chrage in the UK for 14 years! Al Fawwaz was an Egyptian arrested with Eidarous and Bari and others in the summer of 1998; four of them were no longer in detention, at least in the United Kingdom, although one of them might have been in detention elsewhere. But Witness B agreed that central to the case against Al Fawwaz, who had been re-arrested on an extradition warrant to the US, was a participating informant who, it was certainly plausible, had received benefits from the US Attorney, although Witness B was not able to confirm that it was $1,000,000, or that he had been made an offer of protective custody. Witness B was unable to confirm or deny that that man had previously been rejected as unreliable by a number of governments. It was possible that he had been involved in embezzlement from one of the Bin Laden family companies. Witness B was firm in his assessment that the Eidarous and Bari fax contained the time on it which supported their assessment that it was sent before the US African Embassy bombings took place and that they remained convinced of that fact. To me, the REAL reason why the 5 are being extradited to the US, never to receive UK justice, is because their trials, in particular any accused accounts, if aired in 'open session' would provide an uncomfortable corollary regarding the War on Terror. Scotland and the EU - No.2 ~ EU membership?